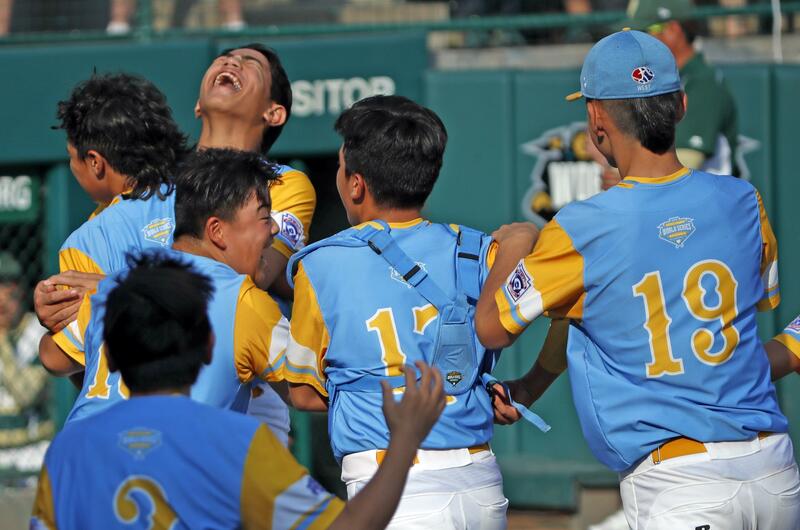 Sun., Aug. 26, 2018, 10 p.m.
SOUTH WILLIAMSPORT, Pa. – It only took one pitch for Mana Lau Kong to deliver Hawaii its first Little League World Series title in a decade. Against a South Korea team that hadn’t surrendered a home run in the tournament, Kong drove the first pitch his team saw over the center field fence. As he rounded the bases and headed home, his teammates poured out of the dugout in a pack led by pitcher Ka’olu Holt and formed a huddle around home plate. Holt took it from there, throwing a two-hitter to lead Hawaii to a 3-0 victory in the Little League World Series championship, the first shutout in a title game since 2002. It was Holt’s first-ever complete game. Pinch-runner Zachary Won scored Hawaii’s second run on a wild pitch from starter Kim Yeong-hyeon. As catcher Kim Gi-jeong chased the ball, Oda sent Taylin Oana all the way home from second to give Hawaii its third run. The victory marks the first time a Hawaiian team has won the Little League World Series since 2008. It is now one of seven U.S. states with at least three LLWS titles. All of Hawaii’s championships have come in the past 13 years. Seoul, South Korea, has played in the three of the last six LLWS title games, but won only once – in 2014. It lost in 2016 to Maine-Endwell, New York. Published: Aug. 26, 2018, 10 p.m.